So now you wanna go to your alts and do all of the dailies in Darkmoon you can find. 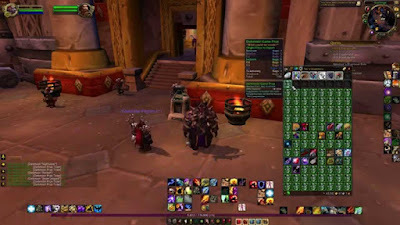 Every daily rewards your with one Darkmoon Gift Box, and each box has at least 1 ticket and maybe some other stuff(like toys).. So basically what you do is get a lot of alts, do the dailies on them and send all of the rewards to your main.. This way you'll be able to afford anything you want(the mounts, toys, heilrooms) in no time.